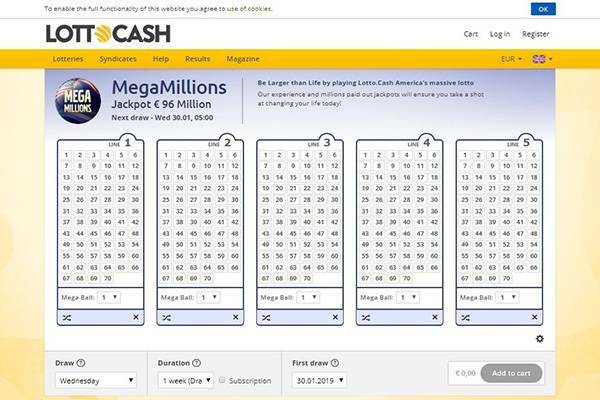 Kootac, who operates a growing network of online lottery websites – PlayEuroLotto and EdenLotto being two of them – is also launching Lotto.Cash. Not much is out yet on the expected launch, but based on other brands and the platform’s technical capabilities – in terms of lottery experience and marketing potential – I wrote a short review. Promise to add more to it as the weeks go by. 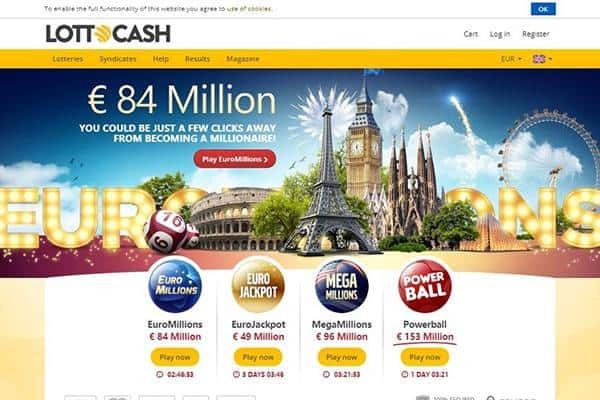 Kootac’s platform is a leader of the online lottery niche, and rightfully so. It is highly flexible with welcomed multilingual support – not only in translations but also in currency and payment options. 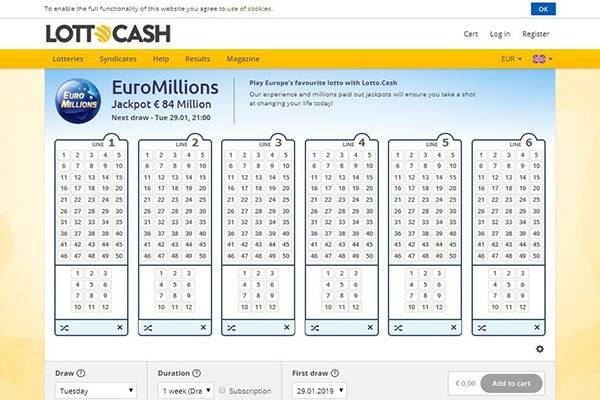 Considering players can complete a purchase of a single line of a global lottery or a syndicate share, Lotto Cash needs only branding to do well. Promotions make sure players are always tuned for what’s coming, as there are different types of offers – discounts, bonuses, and free draw participation. Just as with other brands of the platform, mobile view support – mobile devices using web browsers – is excellent. 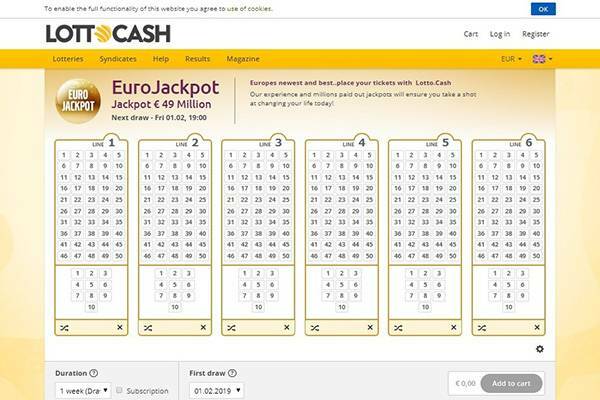 The experience seems to be tailored to actual usage – it is focused and friendly for lottery players. Would be nice to have a mobile app, as it gives an enhanced experience when created with the player in mind – technically, there are far more options for developers. A lack of an app is not that big of a deal since there’s a solid small screen web support, but this is a pretty big platform and a wide network of brands making use of it… would it be so hard to go the extra mile and come up with something game-changing?! A true strong point for LottoCash! there are all kind of promotions for new and existing players – free tickets and share, discounts, and more. You really should have a look for yourself as offers update on the site on a regular basis. As mentioned above, the platform allows lottery players to pay in their local currencies – at least those in the countries which their language is supported – and using the leading payment option available – credit cards and e payment. Users and players have a Frequently Asked Questions section they can use as a means of quick self-serving customer support. It is a list of relevant issues that are categorized for easy navigation. For any issues that are not covered in the above help section, there’s the option of reaching customer support. The channels available are phone number and direct email address that are clearly visible across the site – only in Desktop view – and social pages that the brands visit regularly. Is Lotto.Cash legit or fraud? No scam signs here. There no suitable track record to make an established statement, but considering the network and platform… this could very well be another winner from Kootac. Nevertheless, I’ll be sure to stop by in a couple of weeks for a checkup and update (also relevant for the other review aspects). My best guess is… if you’re in the market for an online lottery website to try your luck with, you’ll find what you need at Lotto.Cash. Especially if you need language and currency support – a definitely unique selling proposition compared to other brands available. 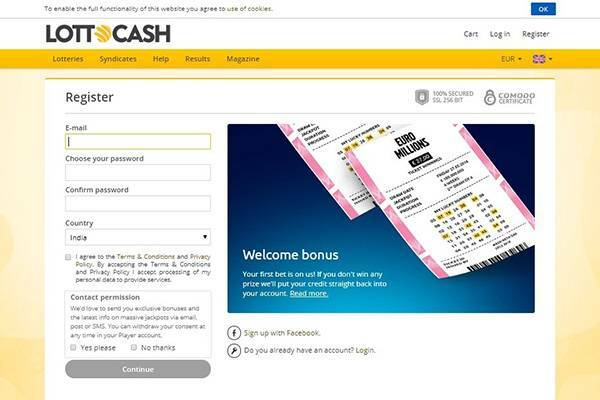 If you have any feedback on Lotto Cash, please email me, I’d love to get some other user experiences! Kootac is regulated by the two biggest gambling commissions – UK Gambling Commission and Curaçao eGaming. Exceptional geographical support – languages, currencies and local payment methods. The platforms bonus and reward capabilities are being used with a fun variation of promotional offers.